The West Ladies are pleased to announce their new music CD. 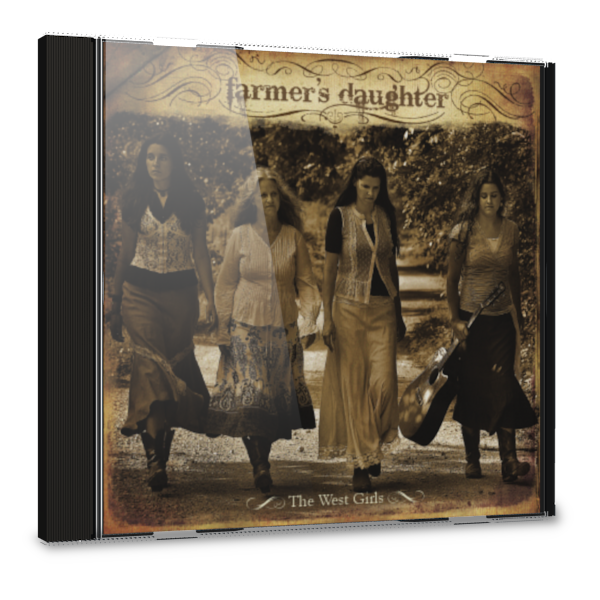 Known as "The West Girls" in the music world, their second CD "Farmer's Daughter" is now available! The West Girls bring their voices and hearts together with songs from the Appalachian hills, old Hymns, and several original tunes written and sung in their own unique style. "Farmer's Daughter" includes thirteen songs, with lyrics, for almost an hour of beautiful family harmony reflecting The West Ladies' faith in God, their agrarian lifestyle, country fun, and family togetherness. "Farmers Daughter" is sure to bring a smile to your face and a blessing to you and your home. The West Girls first CD, Farther Along, is rich in family harmonies, old hymns, and beautiful originals that will encourage and bless your spirit and soul. Featuring their hit song, “ Green Beans in the Garden” which children especially enjoy. Seven of the ten songs were written by the West family. These songs that reflect their home life, growing up where the “creek is bubblin’ too” and show their love and thankfulness for all life which comes from our Heavenly Father.